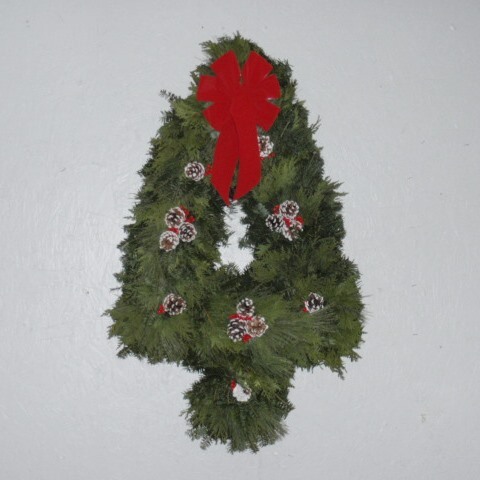 Tree Wreath | Purchase Online | Free Shipping | 218.564.4909 | MN |. A fun & unique conversation piece that resembles an evergreen tree, is hand constructed of balsam, cedar and white pine boughs, decorated with a red velvet bow, painted cones and red faux holly berries. Approx. 24″-26″.